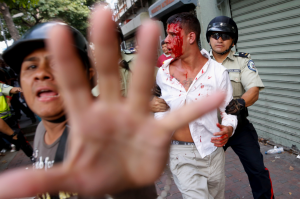 CARACAS - According to an analysis published by the Cato Institute, Venezuela holds the disreputable top spot as the most miserable nation in the world. The 90 countries listed in the misery index were selected based on data from the Economist Intelligence Unit and calculations from Steve Hanke, a professor of Applied Economics at Johns Hopkins University. The formula used to compile the list involves inflation, lending rates, and unemployment rates minus year-on-year per capita GDP growth. Venezuela's much higher misery score of 79.4 is much higher than every other country except Iran (61.6), and the top 22 countries are above 25 on the index. Inflation is the major contributing factor plaguing three of the top four nations listed. 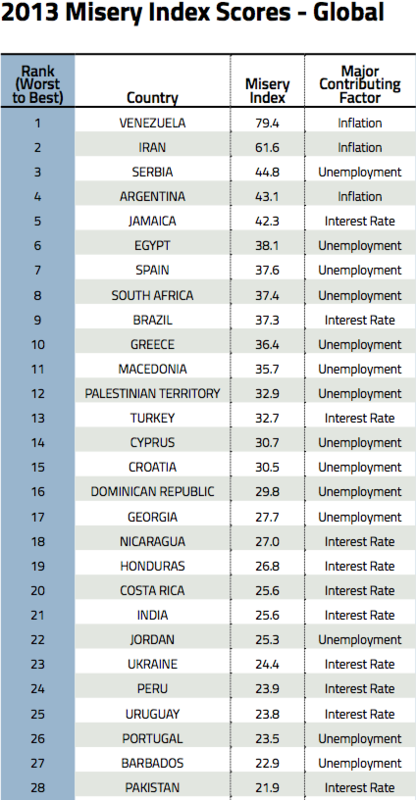 The other countries are either hampered by high unemployment or interest rates.